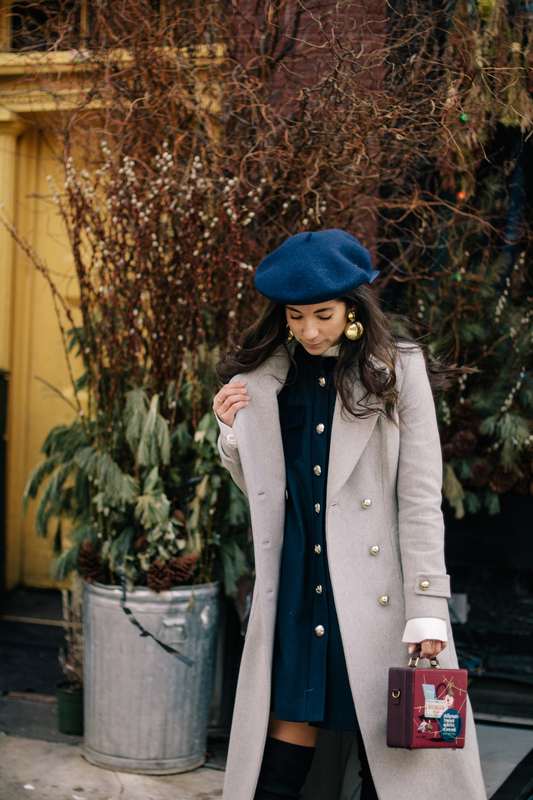 I’ll admit it — the second I put this outfit on, I whole heartedly felt like I had raided Madeline’s closet. And I’m certainly not complaining about that outcome here. I happened to love the Madeline series when I was young — her precocious nature and knack for weaving in and seemingly out of trouble in a matter of pages never ceased to amaze me. Plus, there was that adorable little dog, Genevieve, who saves her from the Siene — and became her sidekick there after. Mary Poppins: For the always prepared (and therefore never short of pockets and/or a seemingly bottomless bag), I think our girl Mary would look amazing in this Gul Hurgel dress. Midi length, belted and cinched just so, perfectly ladylike in every way. Scarlett O’Hara: Never one to shy away from dramatics, Scarlett would KILL in this red Alexis number (c’mon, you knew she had to be in her signature color). Of course, now I’m eyeing this very dress for Valentine’s Day myself. Jo March: I might be biased (because I’m currently contemplating chopping my own hair), but I think Jo would have been partial to this green Self-Portrait beauty, particularly after she chopped her hair to help pay for the family bills. Scout Finch: Granted, what I loved most about Scout was how much of a tomboy she was at heart, so her outfit of choice naturally has to be tree-climbing friendly. This pinafore Rebecca Taylor dress is demure without being too saccharine. Zelda Fitzgerald: They didn’t call her the original flapper for nothing. While Zelda isn’t necessarily a character herself, many of her husbands leading ladies were inspired by her. I like to think this Veronica Beard wiggle dress has just the right amount of late 20s, early 30s flare that Zelda would naturally top off with an amazing fur stole and veiled pill box hat. Who were your favorite leading ladies? And what do you think they’d wear today? 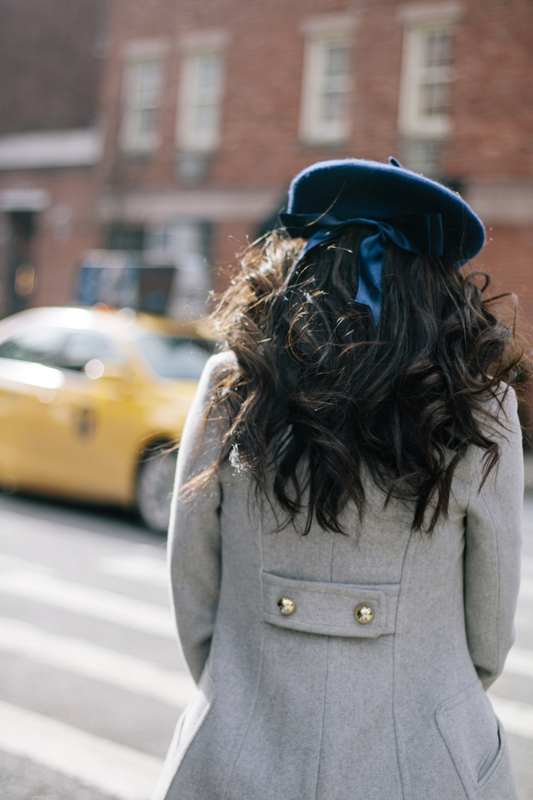 Style and new york, outfit, street style, winter. So cool this look with the over the knee boots! This is a really cute post idea! Love the outfit, too. 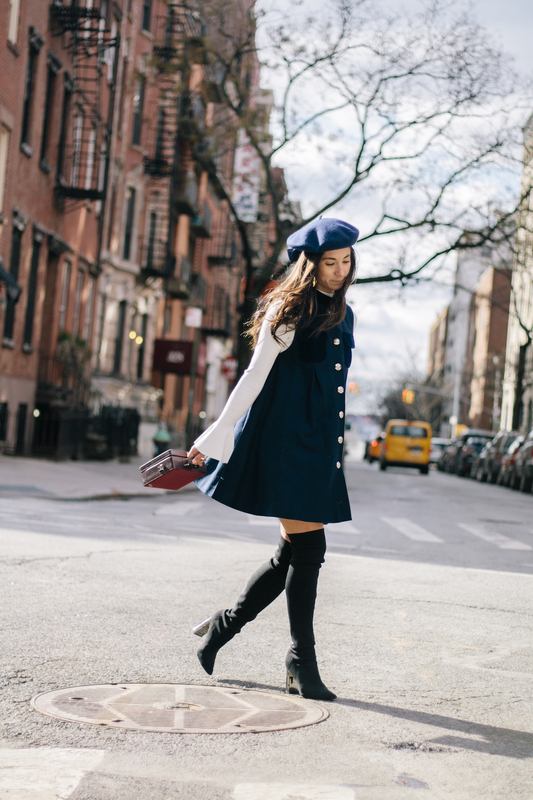 Growing up, I was obsessed with Madeline and this outfit just makes me so happy! And it is so chic! Your outfit has such a Parisian feel to it. Love it! Oh my gosh this look is absolutely perfect! I love how you can pull off both the edgiest look AND the cutest look! 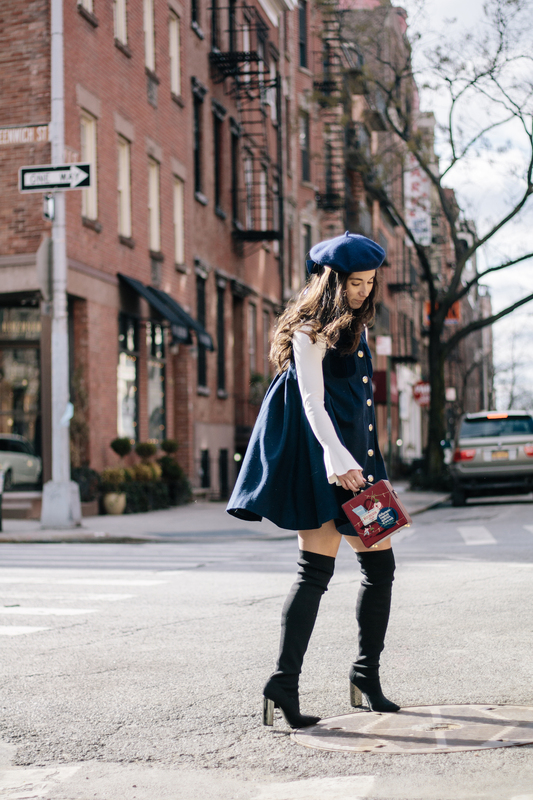 Love the story 🙂 …and you’re making me want a beret! Too cute! !